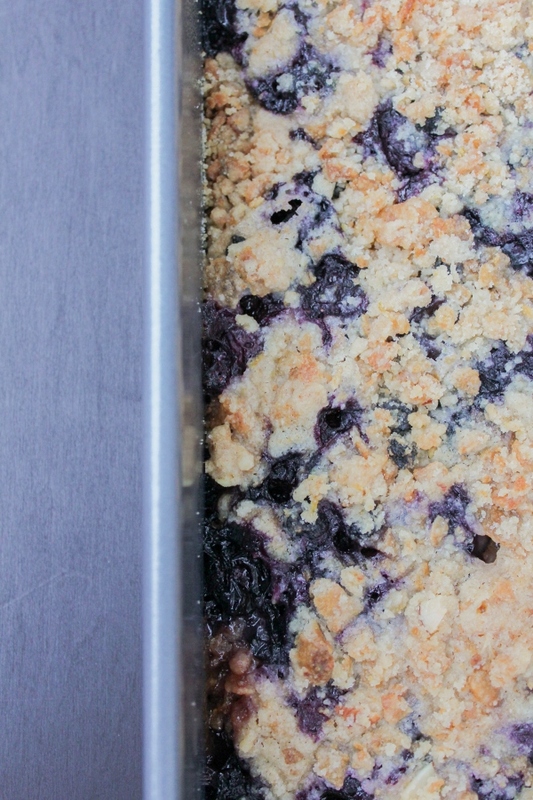 your freshly picked blueberries, plus it's a delicious dessert! I've been loading up on fresh fruit lately, and had more berries in the frig than I knew what to do with. 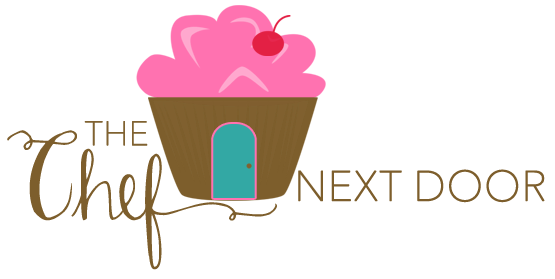 I love them on top of yogurt or in salads, even eating them by the handful, but I love to bake with them as well. 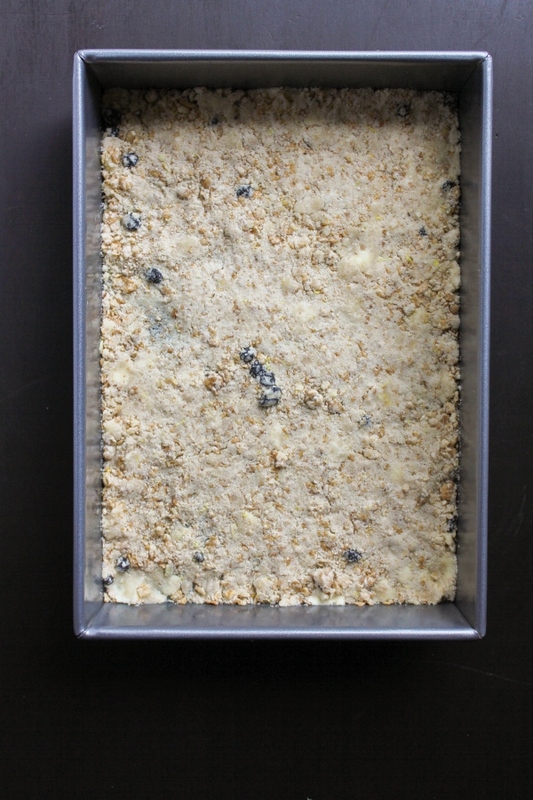 With a big bowl of fresh blueberries staring right at my face, I decided to whip up some bars. 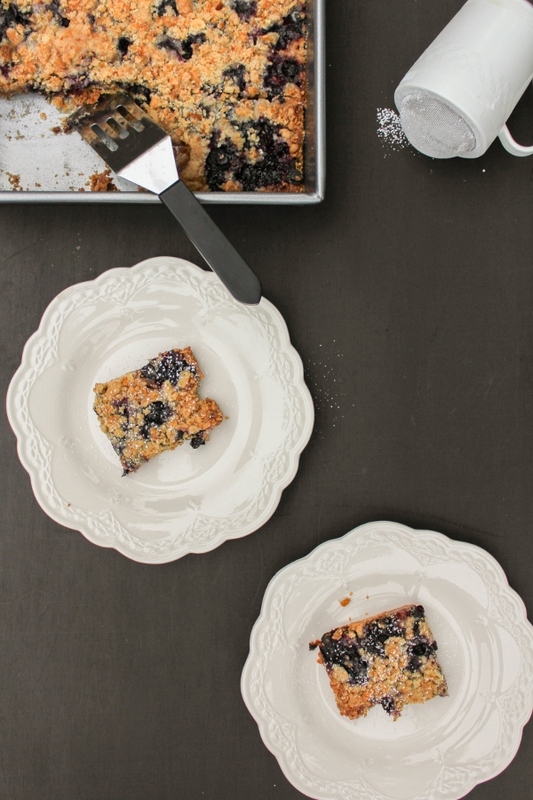 Not just any bars though, deliciously sweet Blueberry Crumble Bars. 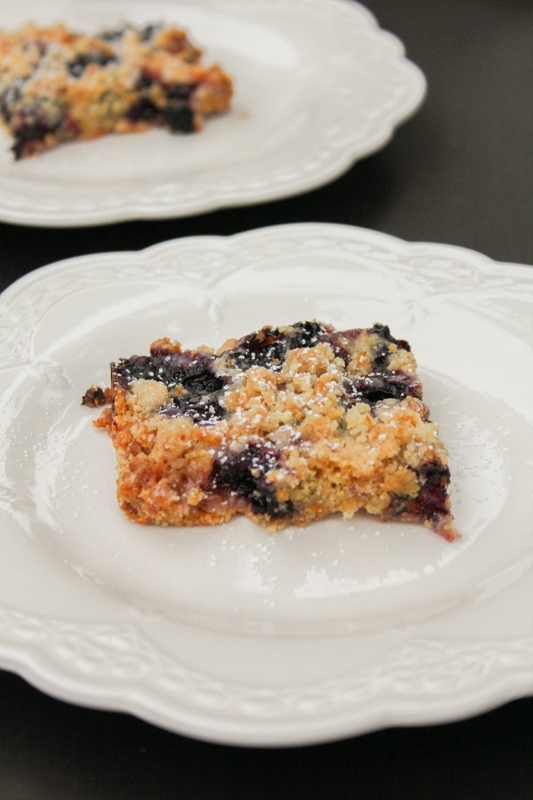 These bars are extra special because the crust and the crumble topping are made with Great Grains Blueberry Morning cereal. You see, I don't just eat my cereal for breakfast, I eat it anytime! There is so much that can be made with cereal, not just eating it with a spoon. I think you can enjoy it anytime, anywhere, in many ways. These bars are really easy to make, no mixer required. You'll dirty two bowls, that's it. First mix your dry ingredients, then cut in the butter using a pastry cutter. You need cold butter, not room temperature butter, which gives you a nice crumbly topping. The dough will almost feel like wet sand. 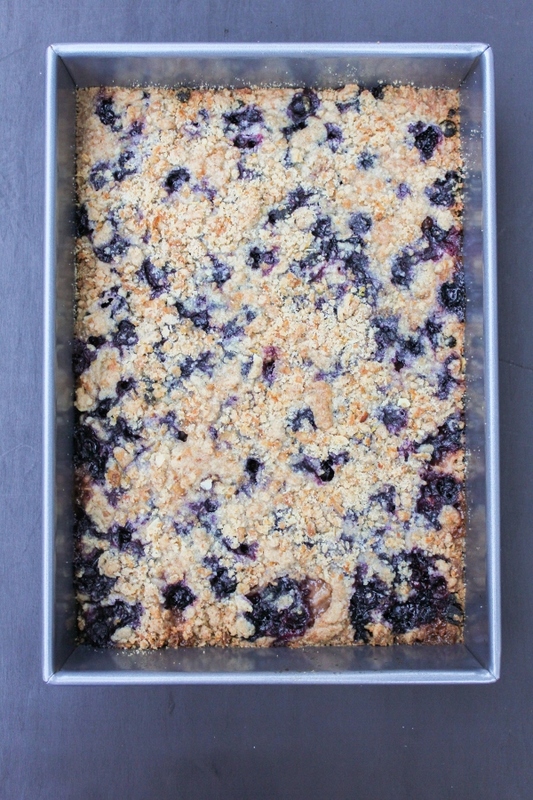 You press half the dough mixture into the pan, followed by your blueberry mixture, the top with the remainder of the dough for the crumble topping. Less than 10 minutes to prep, 45 minutes to bake, and voila! A dessert for you and your family and friends to enjoy. Preheat the oven to 375 degrees. Spray a 9 x 13 inch baking pan with non-stick cooking spray and set aside. In a medium bowl, stir together the flour, cereal, 1/2 cup of the sugar, cinnamon, baking soda and lemon zest. Using a pastry cutter or fork, blend the butter into the dry ingredients until small pea sized pieces of butter remain. The dough will look like wet sand. Pat half of the dough into the prepared pan. Gently stir together the remaining 1/2 cup of sugar, blueberries, cornstarch and lemon juice. 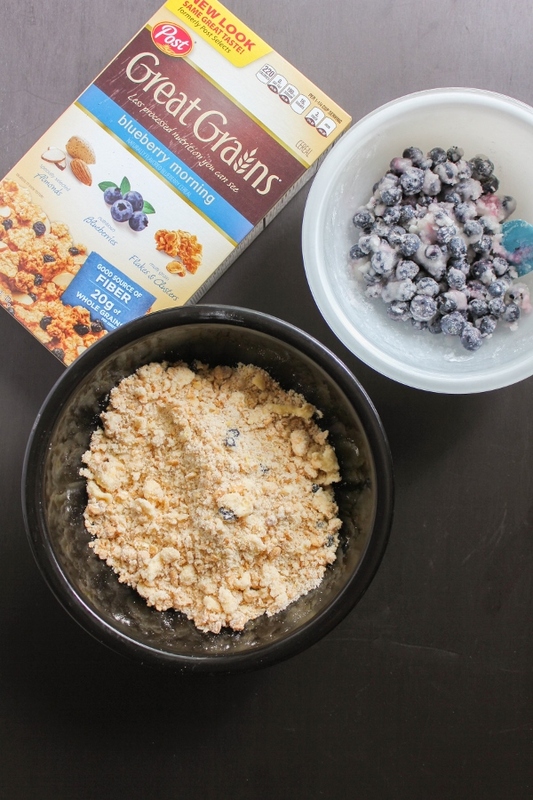 Sprinkle the blueberry mixture evenly over the crust, then sprinkle the remaining dough over the berries. Bake for 40-45 minutes, or until the top is slightly brown. Cool completely before cutting into squares. Great Grains has five flavorful varieties: Raisins, Dates & Pecans; Cranberry Almond Crunch; Crunchy Pecans; Banana Nut Crunch; and Blueberry Morning, all of which can be found in the Cereal aisle of your local Walmart!